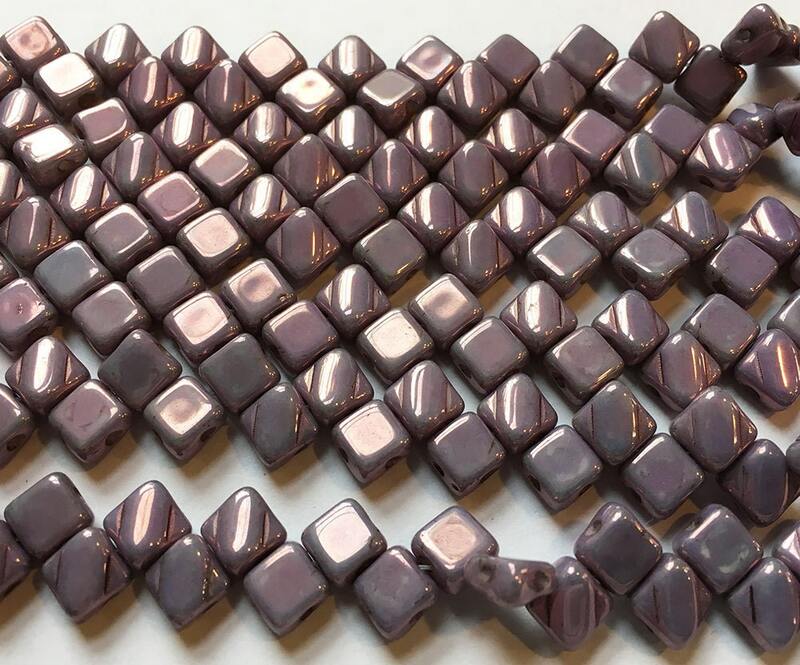 Silky 2 hole angled square beads have a raised bump across the bead on one side and have two parallel diagonal holes drilled through the side of the bead. When strung, the bead is in a diamond profile. They have rounded edges, a slightly wavy surface texture and a 0.8mm hole size, perfect for bead weaving and multiple passes of thread. Since these are Czech glass beads, colors and dye lots may vary. You will receive a strand of 40 beads. Unusual color. Love Silkies! Fast shipping and great prices. Will be back. Very fast, efficient delivery from this shop. These little lavender beads are really pretty - just as pictured.